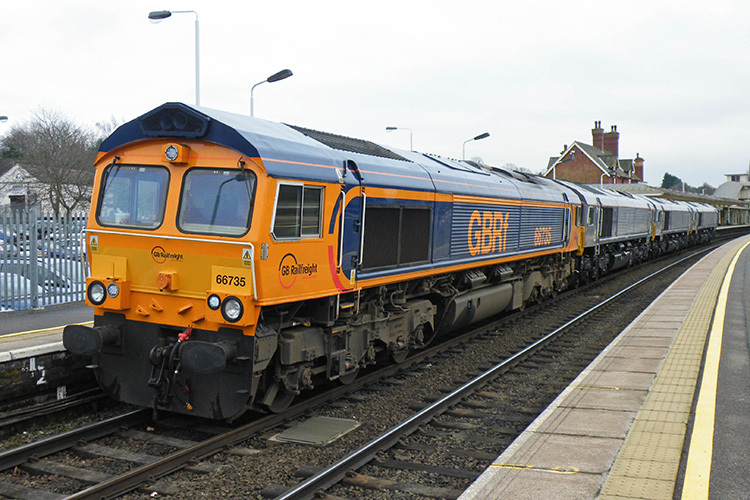 21 x EMD Class 66s for GBRf. 15 x Vossloh Class 68s for DRS. However, the reason for this latest rush is due in part to the need to acquire new locomotives before more stringent EU emission limits bite at the end of the year. There is likely to be a shortage of locomotives which are compliant with these limits. In fact, these more stringent standards are already in force. At the end of the year, however, a period of grace under which a number of locomotives could be marketed which only complied with an earlier set of standards, will expire. At present, no proven solutions are available for stage IIIB. When answering call for tenders, engine manufacturers refuse to make any commitment on reliability or fuel consumption. When they do take the risk of quoting a price it can be twice as much as for a IIIA compliant diesel power package (i.e. about 15 to 20% of the whole locomotive cost). This increase is in itself an indication of the lack of maturity of the technology and may also deter possible locomotive orders. 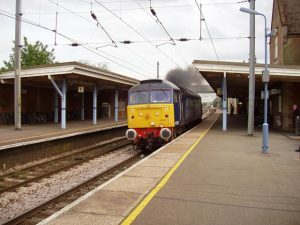 The rail industry and those governments whose rail sectors are heavily reliant on diesel traction, such as the UK, lobbied hard for the inclusion of flexibility requirements so as to extend the period in which Stage IIIA compliant locomotives could continue to be marketed. The EU Commission eventually agreed and a flexibility scheme was inserted into the NRMM Directive under Annex XIII (transposed into the UK in schedule 9, paras 9-13 of the NRMM regs SI 1999/1053). 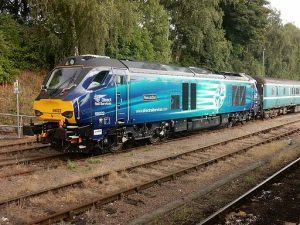 This enables a limited number of new locomotives to be placed on the market for a period of 3 years after the Stage IIIB requirements came into force; this period expires on 31 December 2014 and hence the rush to place orders. 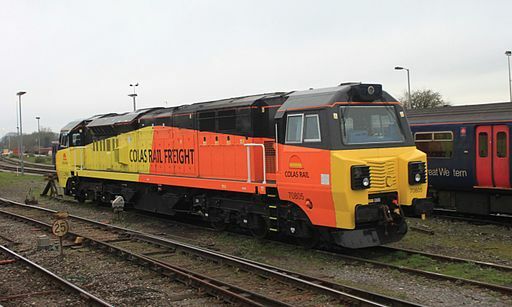 The Vossloh Class 68 ‘Eurolight’ locomotives ordered by Direct Rail Services (DRS) are the newest of the recent crop of freight locomotives and are the closest to full compliance with Stage IIIB emission limits. The engines (supplied by Caterpillar) are currently compliant with Stage IIIA but can be relatively easily adapted to meet Stage IIIB. The saga of the implementation of new emission standards for locomotives is a classic example of the difficulties of harmonizing technical standards in an environmental context. The first point to note is that the NRMM Directive is a market harmonization Directive as opposed to an environmental measure. However, Article 114 of the Treaty on the Functioning of the European Union (TFEU) on market harmonization measures incorporates environmental objectives. Thus technical standards must ‘take as a base a high level of protection, taking account in particular of any new development based on scientific facts.’ The hope is that harmonization measures will raise environmental standards rather than adopt the lowest common denominator. This produced viable solutions to achieving the Stage IIIB standards and is most clearly demonstrated by many feature of the class 68 Vossloh Eurolight locomotive. Nevertheless, there is still concern that the EU set an overly ambitious time frame for meeting the new standards and that there will be a shortage of motive power across the EU once the 3 year flexibility period comes to an end. In the UK there is a burgeoning industry in reconditioning old British Rail era diesels. 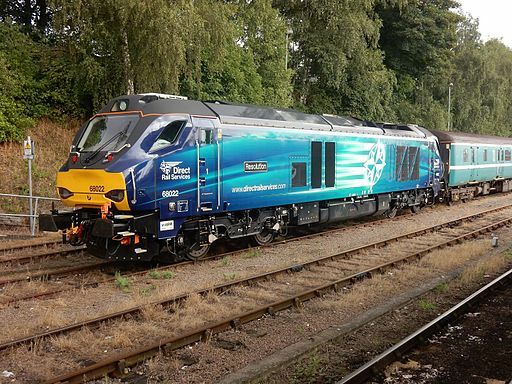 Existing locomotives have ‘grandfathered’ rights under Article 10 of the NRMM Directive which means that they can be fitted with brand new engines which only comply with stage IIIA.